It looks similar to our Plett icon, the Pansy Shell, but where the Pansy is flat this shell was larger and domed, but still intricate and delicate. We did some research and found that it is called a Lamp Urchin. 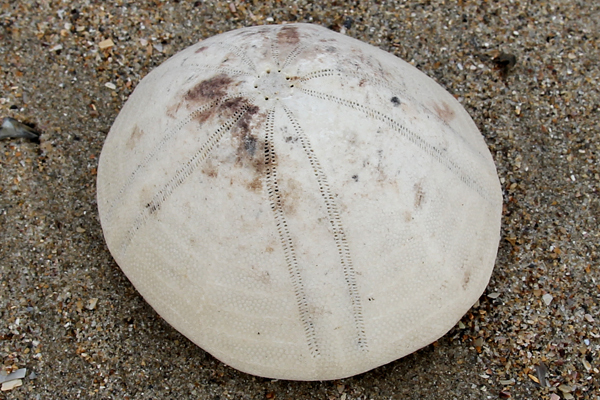 It is a part of the urchin family, as with the Pansy Shell and it is incredibly rare to find one intact on the beach. Plettenberg Bay beach walkers and nature lovers still delight in the shelly wonders washed up by the Indian Ocean. 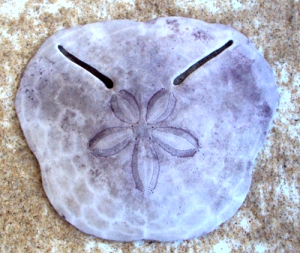 Both the Pansy Shell and Lamp Urchin live and burrow just beneath the sand in both shallow and deeper waters. Covered in velvet-textured “spines” and fine “hairs”, they feed on crustacean larvae and algae. 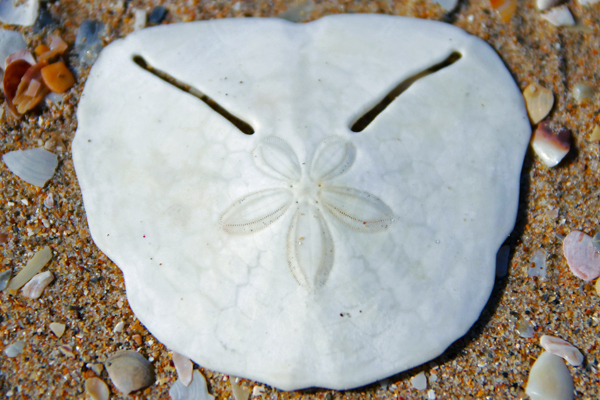 The classic bone-white shell found by beachcombers is once the spines and hairs have fallen off and the skeleton has been bleached white by the sun. 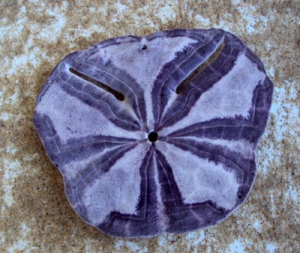 In Plettenberg Bay, the Pansy Shell has been collected to near extinction and its sale is now prohibited. Slowly the population is growing again. The Keurbooms Beach is an ideal spot for searching for Pansies and other beautiful seashells. The Pansy Shell with its delicate beauty seems to embody all that is peaceful and magnificent about Plettenberg Bay. Today, 18th December 2013, I found a lamp urchin floating in the incoming tide below Under Milkwood! Hi Gordon, We would love to be able to display the Lamp Urchin at Milkwood Manor on Sea if this is possible. Thank you so much for your comment, You are a very lucky man. Best wishes! « Ocean Views – Overnight!